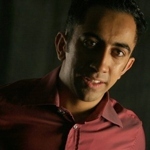 Farooq Chaudhry has been working with Akram Khan since 2000 and as a producer for English National Ballet since 2014. I became a producer through a beautiful accident. I started out as a dancer, and always loved the process of making work, sometimes more performing it. Then for a while I was a dance manager, working with choreographers Russell Maliphant, Charles Linehan and Aletta Collins. And though I found I was quite good at raising money and finding co-producers, I missed that connection with the creative process. Then I met Akram Khan in 1999. He was a solo dance artist interested in becoming a choreographer, I was an ex-dancer interested in process, and we were both fledglings, discovering what we were doing. The alignment was perfect. I calling myself a producer rather than administrator or manager when I began working with Akram. My priorities shifted onto the production itself rather than managing the people and organisation around it. It’s a step closer to the artist. To the art, actually. 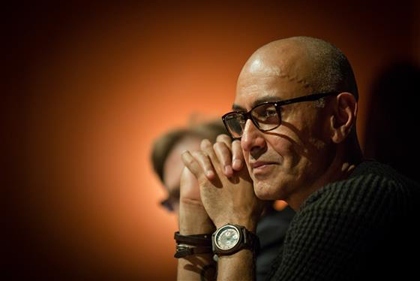 I always say to Akram: I don’t serve you, I serve the art; you are part of that process. A producer needs endurance and conviction. You need to believe in the art first. If you have the belief, you then need endurance, because building the framework to realise it can be very fragile and unpredictable. I love having a lot of input in the production. Sometimes it’s hard to pinpoint what idea came from who, because we’re so closely involved in those discussions together. One of my biggest roles is in the final stage of creation, as an editor. I used to be more involved throughout, but when you do that you begin to accept the flaws in the work, or not see them, or maybe even fall in love with them. So it was good for me to maintain more distance during development and play a bigger role in the final edit. One significant change since I started is the world around us. A decade ago, no one was working with simultaneously in China, America, the Middle East and Africa. It happens a lot more now. Our technology and mobility enable contact with a bigger pool of cultural riches. It’s a reflection of what’s happening globally. A producer always has one eye on the art and one eye on the money, but there’s also a third eye which senses where you are in the world. So you have to be aware of that broader context, whether it’s dealing with cultural perceptions or watching global currency markets to see how they affect your contracts. You have to be that plugged in to stay ahead. But that’s what I love: this wonderful interplay between the artist, yourself and the outside world, which you’re constantly trying to make sense of. 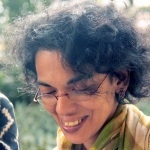 Karthika Nair is an Indian-born, Paris-based dance producer, whose longest and closest collaboration (2006–14) has been with Belgian choreographer Sidi Larbi Cherkaoui. When an artist demands an elephant on stage the producer is the person who replies: African or Asian? She’s also the person who may have to say, some weeks into rehearsal, “Can we use a stuffed elephant or a video projection on tours? Otherwise this beautiful show will have such a limited life.” It sounds like an analogy, but it really happened. When an artist demands an elephant on stage the producer is the person who replies: African or Asian? I became a producer by accident. I was a journalist in Kerala and found myself working at the Alliance Française there, almost accidentally. I ended up handling fundraising, management and production, before even knowing what those terms meant. It was only later, while studying arts management in France, that I discovered a full-fledged sector. The reason I started in contemporary dance was, ironically, because I knew nothing at all about it. I had worked with world music festivals in my first years in France. When I got hired at the Centre Nationale de Danse, it was because the department director wanted a solid production manager who was totally hands-off about the artistic programme. And what I didn’t know about, I couldn’t interfere with. In fact, the CND was the best place for me to discover dance. I got to see so much, and it has amazing archives. When I moved to become head of programming and production at the National Museum of Immigration, we commissioned a multimedia dance installation by choreographer Sidi Larbi Cherkaoui, whom I had met while at the CND. The next year, I joined Larbi as his manager, then we founded Eastman, his company, together. The producer’s job is to bring in the resources to realise the artist’s vision. Not just financial and practical resources, but also the right artistic and technical collaborators, the right support system. Apart from big ballet companies, which have their own theatres, guaranteed budgets and permanent teams, dance companies in Europe wouldn’t survive without co-producers. They usually give a defined sum of money, or resources in kind, or both. It’s more than an investment; it’s a crucial means of support. It is equally important to choose the right venues with your choreographer. You need to identify and ensure the proper setting for the work, position it well. Stay unruffled, and proactive — always have Plans B, C and D, because you are constantly faced with imponderables. And often, you have to be the ‘translator’ (and sometimes buffer) between your artist and the team. Above all, you need immense conviction. You need to understand the work, warts and all, to defend it with honesty, and to develop a shared vision with your artist. That is vital, because you really have a lock-and-key relationship with the artist. There are many wonderful artists that I’d probably be a lousy fit for. But when you are completely in synch with your artist, it’s incredibly fulfilling. To see what an idea can become, to enable something so ambitious, so beautiful and so much in resonance with your own beliefs — that’s one of the biggest highs I have known. Anand Bhatt works as a producer with contemporary kathak artist Aakash Odedra. I didn’t plan to become a dance producer. At the age of 12, actually, I thought I would become a Michael Jackson impersonator – which is when my parents, in their wisdom, sent me to kathak class. In 2007, when I was working in the charity sector, Aakash Odedra and I were both part of a performance for Keith Vaz’s 20th year in office. I was absolutely awful. Aakash was brilliant. I came out and said: I will never dance again – but if I can help Aakash, that would be fine. That’s what I did. I wasn’t really aware of what managing or producing was, even though I had already managed some large-scale community dance projects, and produced three commercial Michael Jackson tribute shows. The biggest was MJ Timeless at the Blackpool Globe Theatre: 46 dates in 6 weeks. Everything looked fine on stage, but offstage was a different story. I worked with two other producers, and there was a real clash in our outlook. It was a huge learning experience. I think the crucial thing we lost was clarity of vision. A producer helps make something happen – in practical terms, of course, but also through ideas. For example, Aakash’s Murmur (2014) came about after I got in contact with science and media technology group Ars Electronica. We talked pretty open-endedly about how the intricate details of ancient Indian dance, visible in temples and courts, were lost on vast modern stages, and technology’s ability to blow things up larger than life – a kind of warped and exaggerated reality. Meanwhile, Aakash started thinking about exaggerated and warped realities, and something clicked: that was how he experienced dyslexia. That became his starting point for the piece. promoters and programmers can be very choosy… But you need to choose well too. You don’t serve the artist, but the artist’s work. On one hand, you are very close to the artistic practice, so the relationship with the artist is central. Your ideas and ambitions need to match. You need to articulate that vision to prospective partners such as promoters and programmers. They can be very choosy about who they want to work with and why. But you need to choose well too. On the other hand, positioning is very important. With Aakash, I looked at where we wanted to go, and I looked to the top. I felt that the best people for him were in contemporary dance, because the South Asian dance sector is significantly more financially limited. So we went to international contemporary dance fairs, and Aakash got seen. The results weren’t immediate, but it was worth it. And I learned who the people were and how they work, and I continue to talk to the best in the sector. I didn’t know anything about contemporary dance when I started, but I have found it very embracing, open to influence by other genres and able to evolve organically. That’s what makes it so exciting to work in. You always feel you’re doing something new.